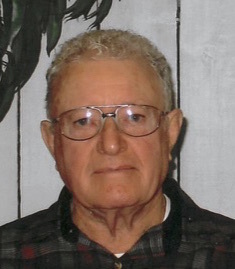 Paul C. Bachman, 91, of Metamora, IL passed away at 10:45 pm on Tuesday, August 28, 2018 at Snyder Village in Metamora. He was born on March 8, 1927 in Lowpoint, IL to John and Mary Bachman. He married Lois Mae Birkey on June 1, 1950 in Fisher, IL. She passed away on January 7, 2010. Surviving are his children Anita (John) Haller of Colorado Springs, CO, Mary Jo (Mark) Bodenhamer of New Bury Park, CA, Sandra (Keith) Swartzentruber and Stephen (Fay) Bachman both of Metamora; sixteen grandchildren; twenty-six great-grandchildren; brother John (Betty) Bachman of Lowpoint; step-siblings Minerva Reeb of Metamora, Ruth Gross of Germantown Hills, Orpha Schertz of Metamora, and Russ (Fern) Bachman of Washington; and sister-in-law Doris Bachman of Princeton. He was preceded in death by his parents, step-mother Mattie Bachman, one sister, and two brothers. Paul was a part-time farmer, worked as a machinist at McBride and Shoff, and later worked and retired from Sanders Tool. Funeral Services will be held at 10:30 am on Friday, September 7, 2018 at Germantown Hills Baptist Church with Reverend Michael Carlson officiating. Visitation will be held from 4:00 pm until 7:00 pm on Thursday, September 6, 2018 at Germantown Hills Baptist Church. Private family graveside services will be held on Friday at Stewart Harmony Cemetery in Metamora prior to services at the church. In lieu of flowers memorials may be given to Germantown Hills Baptist Church, 304 Schmitt Lane, Germantown Hills, IL 61548 or Snyder Village Residents in Need Fund, 1200 East Partridge Street, Metamora, IL 61548. Online condolences at www.masonfuneralhomes.com.